The right mattress is vital for a comfy night's sleep, but the base is actually just as important. This buyers guide will will arm you with the knowledge you need now that you're considering purchasing a new divan base. A platform top divan base uses a solid surface ideal for all mattresses. A solid surface on a divan base takes no comfort away from the mattress, the main thing you'll notice is that the bed will not feel as bouncy when moving position. 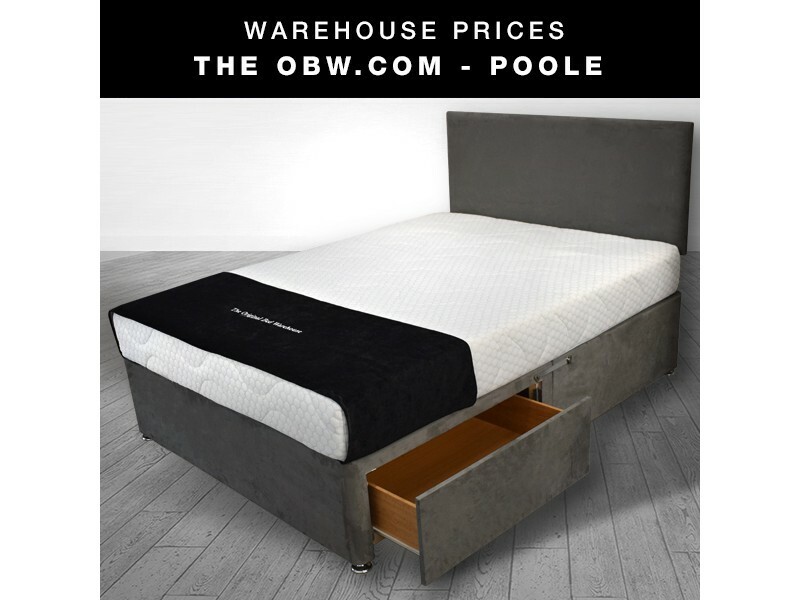 Available to try in our Poole showroom, here at The Original Bed Warehosue we offer a wide variety of these divan bases. A sprung divan base has a layer of springs just under the surface which helps create a little more bounce to your mattress. Sprung divan bases work well with medium and firmer tension mattresses. The springs in the divan base will create a more responsive feel to the mattress whilst maintaining it's correct tension. 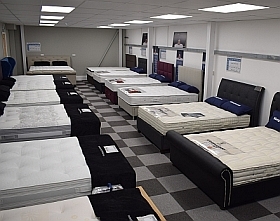 Softer mattresses may feel too soft if used with a sprung divan base. Available in our Poole showroom is a specially designed base to showcase to you the difference between a sprung and platform top base. Ottoman divan bases offer a great solution to those bedrooms with lack of storage space. Available in either end open or side open, all our ottoman divan bases come with gas lift hydraulics making it easy when lifting the base of the bed upwards - much like a car boot. Available in our Poole showroom is a variety of ottoman divan bases for you to try, to see what opening style suits you. Colour and fabric - We have a HUGE selection of colours and fabrics to chose from, rather than the usual black, brown, beige and grey options our competitors offer. Click here for more about our fabric/colour selection. Headboards - Want to finish your divan base with a stylish headboard? We have a wide range available in store. Click here for more about our headboards. Storage options - Our drawers come in a variety of configurations, as well as our ottomans coming in different depths. All our divan bases listed above, alongside headboards and several colour/fabric swatches are available in our Poole showroom for you to view. So why not pop down to have a look and see what we can offer you?